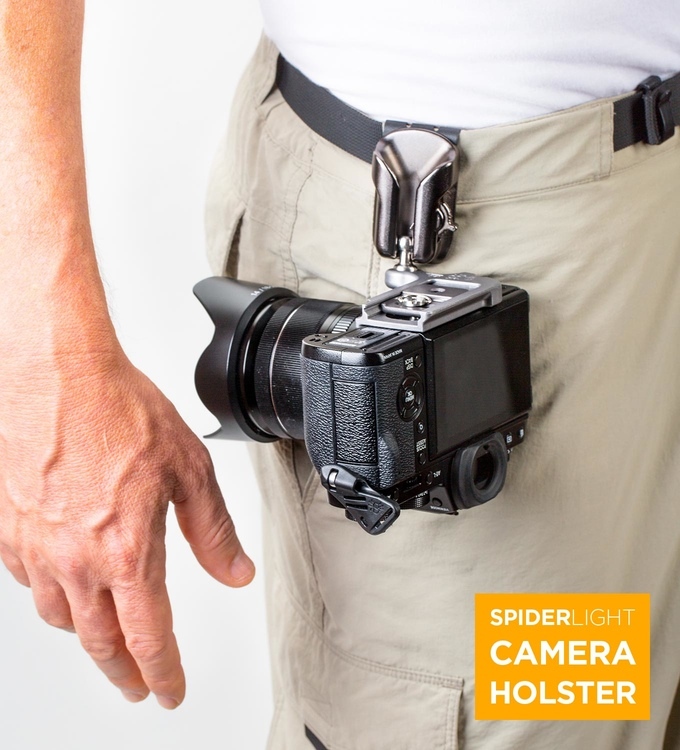 The SpiderLight Holster is the perfect companion for anyone that wants an easy draw-from-the-hip, no strap solution to take their camera anywhere. Slip it right on your belt, attach our Spider plate to your camera, and shoot like a pro. The SpiderLight Holster is an intelligent solution for the challenges posed by carrying today’s smaller cameras. Designed specifically for mirrorless cameras and small DSLRs, this camera holster is lightweight, durable and extremely versatile. Go anywhere, from the trail – to the street – to the studio, with your hands free, and your camera ready to grab the next shot. Easily clips to your own belt or to SpiderLight Belt. Quickly attaches to backpack straps with the SpiderLight Backpacker. Full tripod compatibility, plus a built-in Arca-Swiss tripod mount profile. Your Camera is Safe. 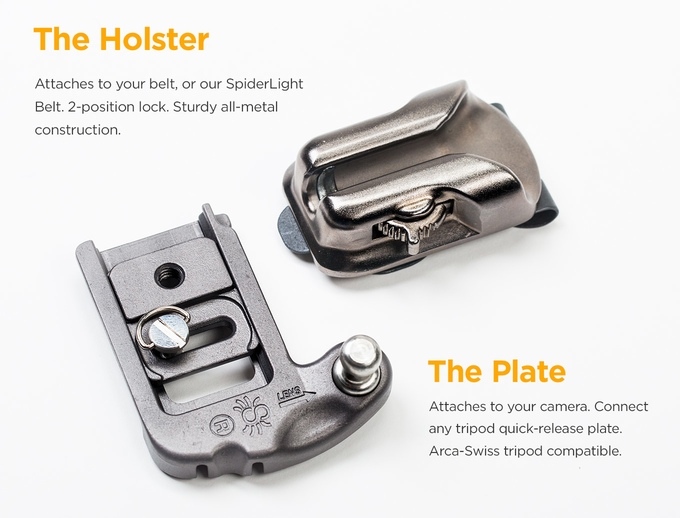 The SpiderLight Holster has a two-position lock. In it’s lower position, the lock secures your camera each time it’s placed in the holster. 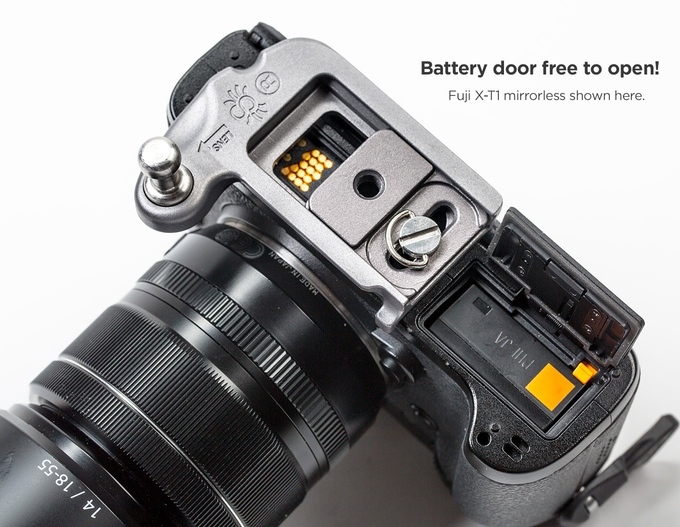 In the upper position, the lock disengages for quick and easy access to your camera.